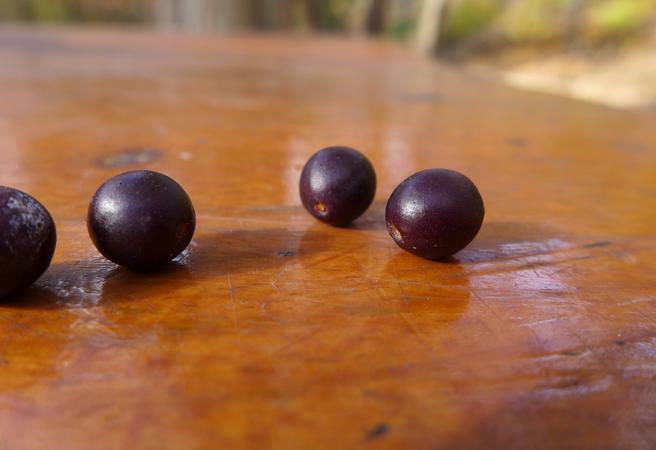 Last Sunday in Schenley Park I found these small hard berries littering the trails … and then one fell on my head. I looked up to see a flock of robins knocking berries to the ground as they reached to eat them. It’s easy to identify the berries by the bark of their tree. 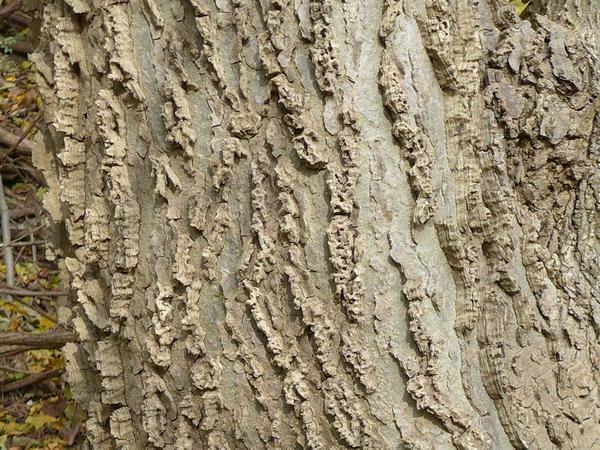 The common hackberry (Celtis occidentalis) has distinctive layered ridges. 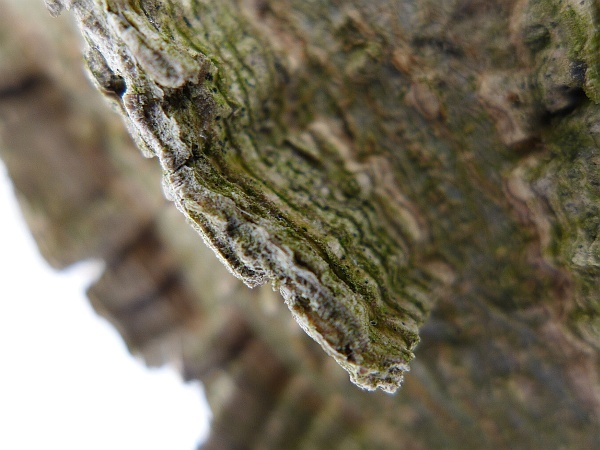 Here’s a closeup of one ridge, photographed on a frosty morning. Birds eat the berries. 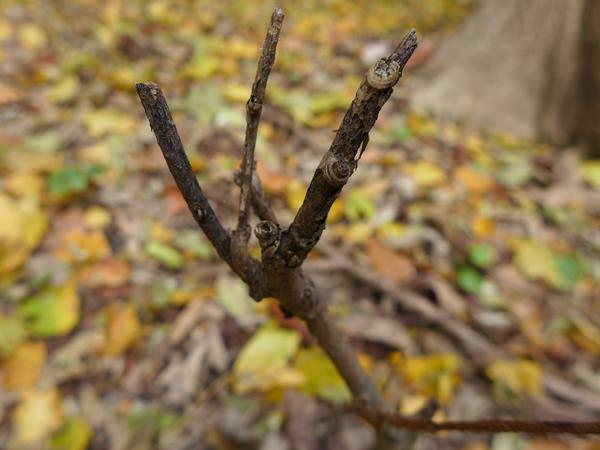 Deer eat the twigs. Hackberry trees provide lots of food for wildlife. The Hays Bald Eagles had built their nest in a Hackberry tree. It was the tree that fell down this year, taking the nest with it. Is this the tree I’ve always called “chokecherry” or “wild cherry”? The berries look similar. I’ve eaten them (sour) and made jam with them, but it’s hardly worth the effort. They’re are just skin and a big seed inside. Peggy, not these aren’t “wild cherries” though they do look similar. I was just noticing their similarity today on a walk through Schenley Park where I saw them near each other.